Is it reasonable for the law to require all roadway users to use the same amount of caution? Should pedestrians and bicyclists be required to use as much caution on the road as motorists? For a very long time, California has said "no." Illinois should follow suit. The duty to use reasonable care does not require the same amount of caution from drivers and pedestrians. While both drivers and pedestrians must be aware that motor vehicles can cause serious injuries, drivers must use more care than pedestrians. California Jury Instruction 710. (Emphasis is mine). Personal injury cases in Illinois are generally decided by 12 regular people. A victim of injury (the plaintiff) alleges that one or more defendants (whether a person or corporation, partnership, etc.) acted badly thereby causing the harm. The "badness" of the conduct, or lack of it, is determined by the members of the jury based on what the law is. If the jurors agree that under the law the defendant(s) acted badly then they must determine how much money will help compensate the victim for his or her harms and losses. It is a huge, and sometimes taxing job. Juries make these determinations by listening to the evidence presented by all sides, then determining whether the defendant's injury causing conduct violated the law. If so, the injury victim prevails and should be compensated. It is natural for jurors to feel intimidated by this task. It is sometimes difficult to determine what really happened among competing versions of events. Further, how are they to know what the law is? Jurors are not trained in the law. Frankly, the lawyers on each side of the case are often not much help in this regard. They are advocates for their respective clients. How can they be trusted to accurately tell the jurors what the law says? This is were jury instructions come in. At the end of the case, after all sides have made their closing arguments, the judge reads jurors a set of written instructions telling them what the relevant law is. The instructions are just that; they guide jurors in how they are to set about deciding the case and rendering a decision. The content of the instructions to be read to the jurors is generally argued by the various sides in the litigation to the judge outside of the jury's presence. The judge considers the arguments regarding how the jury should be instructed then renders a decision. He or she then reads the chosen instructions to the jury. The jury returns to their room for deliberation, using the instructions they have just heard as a guide for rendering a decision. [T]he elements of action constituting conduct which qualifies as ordinary care are those commensurable with the responsibility involved and depend on upon the character of the instrumentality being used or the nature of the act which is being performed, all as related to the surrounding circumstances. While it is the duty of both the driver of a motor vehicle and a pedestrian, using a public roadway, to exercise ordinary care, that duty does not require necessarily the same amount of caution from each. The driver of a motor vehicle, when ordinarily careful, will be alertly conscious of the fact that he is in charge of a machine capable of projecting into serious consequences any negligence of his own. To put the matter in another way, the amount of caution required by the law increases as does the danger that reasonably should be apprehended. Just like icy pavement poses a greater threat of harm to drivers, motor vehicles pose a greater risk of harm than do other roadway users. Illinois juries should be explicitly instructed that they may take this intuitive truth into account when a vulnerable road user has been harmed by a driver. The California instruction only references pedestrians, and the Cucinella decision arose from a crash involving a pedestrian and a motor vehicle. 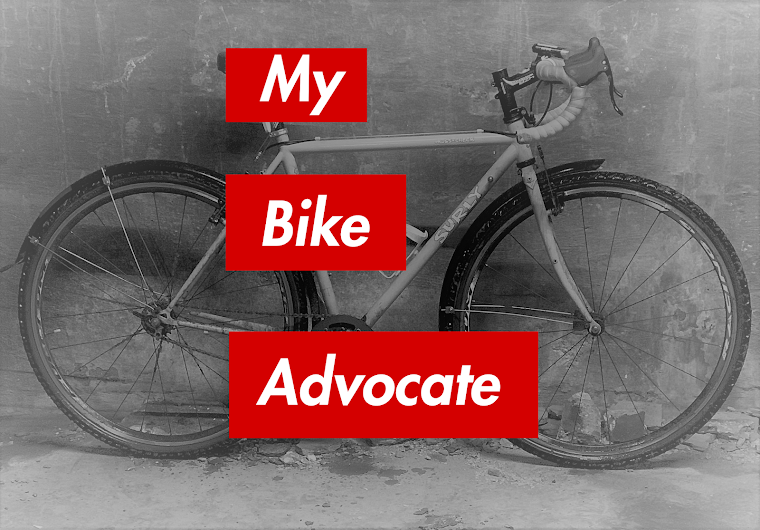 However, California bicycle attorney, and law professor at the University of San Diego Law School, Thomas Penfield, (who made me aware of the California instruction) has noted that "the rational should apply to bicyclists as well." Like pedestrians, bicyclists are far less capable of potential harm than are drivers. The level of caution that bicyclists should be accountable to use should therefore be less than for drivers. Some will undoubtedly misconstrue this. To be clear, bicyclists own a duty of reasonable care to themselves and even more vulnerable road users like pedestrians. But the amount of caution required from drivers and cyclists should not be the same and jurors should be instructed as such. The harm causing potential of their chosen vehicles is vastly different. Such an instruction would be particularly useful in certain intersection crash cases. We see many cases in which a bicyclist is "t-boned" by a driver who has timed a traffic signal which changed as the cyclist made his or her way through the intersection. In Chicago at least, yellow lights last a mere three seconds. At many intersections, a cyclist (and certainly a pedestrian) may enter an intersection on a green, only to see the light change from yellow to red before making it to the other side. It happens a lot. On plenty of occasions drivers see green lights like bulls see red and charge through intersections without looking for cyclists already proceeding across. But a driver's duty is not merely to see green, but to see all there is to be seen, including bicyclists and pedestrians. Where a driver has failed to look and causes harm, a jury considering the matter would be aided by an instruction that reminds that driving a vehicle that has the potential to inflict significant injury requires the use of great caution.